Last Saturday afternoon, traffic congestion along Punggol Road - TPE Junction (Towards Punggol) was really bad and Traffico had no problem detecting it. As you can see from the chart, it lasted almost 80 mins, with some minor buildups following that. Being a longtime resident, I am not surprised at all. 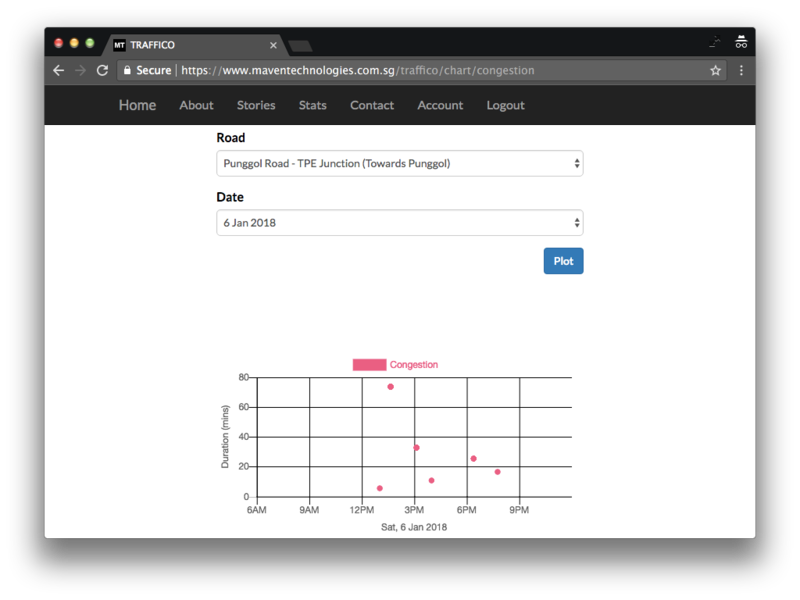 In fact, if you have read my other story on Punggol Road traffic profile, you will know that weekends afternoons are a nightmare. Yes, other roads might be fine, but not this one. 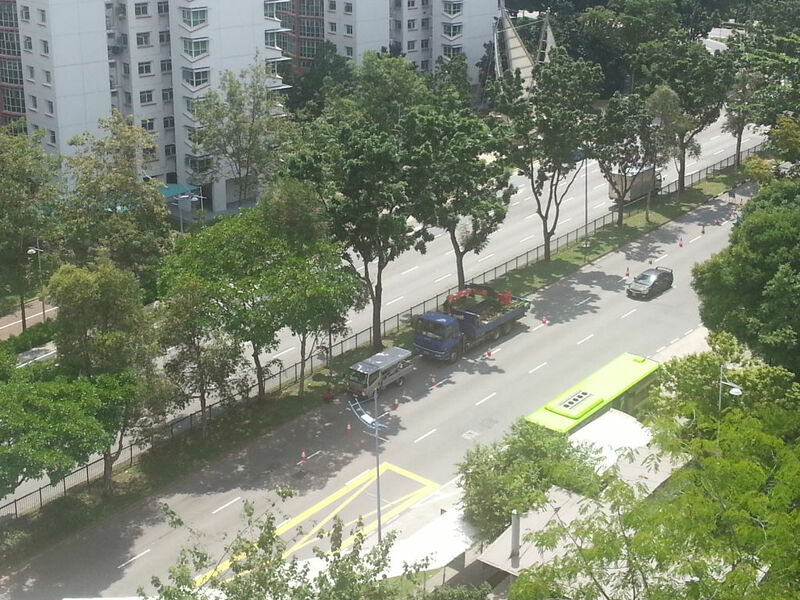 At one point, when I was by the window looking at the road, I was shocked to see tree pruning going on! See the truck and cones? 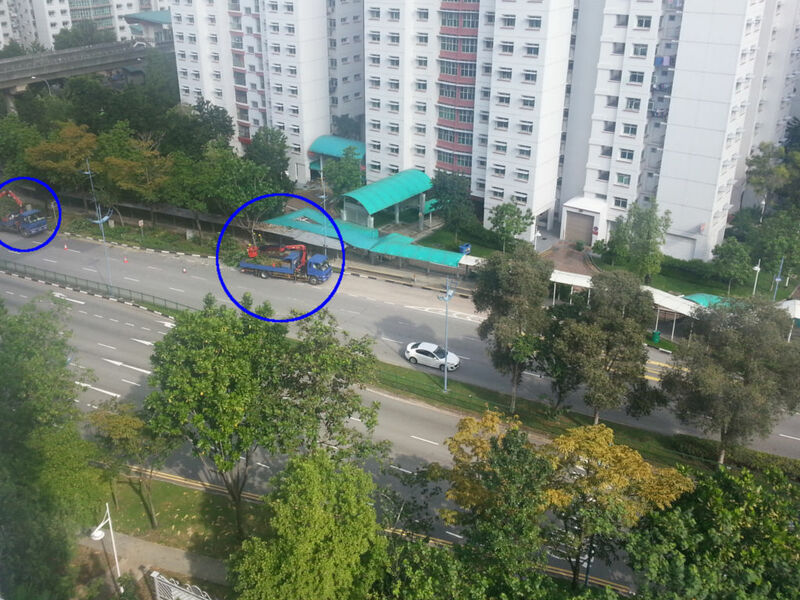 Whoever planned this operation likely did not know the profile of Punggol Road. I am sure it has been a stressful situation - motorists have to drive slowly, workers have to manoeuvre carefully, residents have to endure the horns, etc. 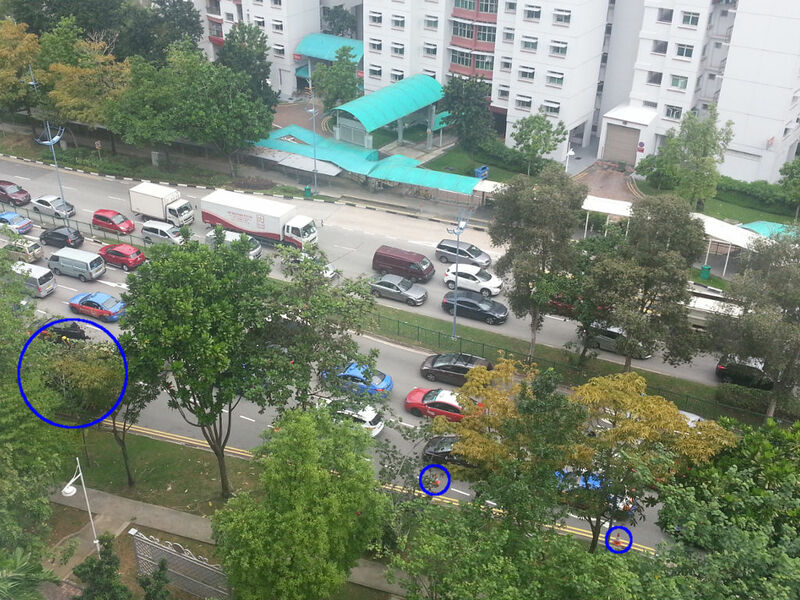 Obviously, the situation would have been a lot better if tree pruning is conducted when there’s less traffic. On Monday around 4:15pm, workers are now spotted on the other side of the road. See the difference? There's less traffic and it's so much easier to work! On Tuesday around 1pm, they are back again on this side of the road. Again, traffic is smooth and it's less stressful for everyone. We should really start leveraging on smart data to do things more efficiently and effectively.